Save Cost on Your IT Infrastructure. Get High Redundancy & Full Scalability with Microsoft Cloud Hosting. Partnering with Dell and Microsoft, Shinjiru offers you an Infrastructure-as-a-Service (IaaS) platform that enables your business with the ability to scale on demand to ensure your project and business objectives are achieved. With deep expertise in Microsoft Azure Cloud Hosting and a long track record of delivering exceptional customer service, we deliver a unique Malaysia Cloud Hosting solution that will fit all your special requirements. Our Managed Azure Cloud Hosting lets your team focus on your business and yet at the same time retain control just like it were managed in house. Our powerful cloud automation ensures that superior performance of Azure Cloud is delivered all the time. For government agencies and enterprise corporations that has a strict data compliance protection rule, ie. all data must be stored within Malaysia's territory, our very own Shinjiru's Microsoft Azure Cloud Hosting is the solution as the entire infrastructure is built in Malaysia. Come try our very unique Cloud Hosting today! As Microsoft's CSP, we will be able to directly manage the entire Microsoft Cloud customer lifecycle, utilizing dedicated in-product tools to directly provision, manage and support our customer subscriptions. This provides us the latest and best-in-class solutions to businesses in Malaysia to embrace the cloud and manage and drive value from the explosion of devices, data and applications. Why Microsoft Azure Public Cloud Hosting? As Microsoft Tier-1 Partner, Shinjiru can assist you to get on board to Microsoft Azure Cloud Hosting. Azure’s extensible framework makes it ideal for achieving a consistent experience and interoperability across Microsoft apps. We can help you integrate your Office 365, Exchange Online, Active Directory, and other Microsoft products with your cloud environment so that access and security is seamless for end users. Spin up the resources you need in minutes in any of Azure’s 42 regions around the world. If you are simply distributing content, the Azure Content Delivery Network (CDN) ensures your content loads quickly and reliably for users. Redundancy is built in, making continuous uptime easy and affordable. Azure Site Backup can recover your sites instantly and automatically. Add backup sites with the click of a mouse. Load balancers and failover servers can be ready to fire up when there is an issue without costing you money when there is not. Azure enables you to set up flexible or burstable infrastructure for your retail or other fast-growth or seasonal businesses. We can architect your Azure resources to automatically spool up to handle unusual or high traffic volumes and spool down during slow time, making your hosting deployment more elastic, reliable, and cost effective. Get cloud infrastructure for big data, data warehousing, streaming video, artificial intelligence or blockchain technology. Azure enables you to spin test environments up and down to meet your developers’ needs, simulating scenarios to ensure everything is tested properly. Why Shinjiru's Managed Microsoft Azure Private Cloud Hosting? 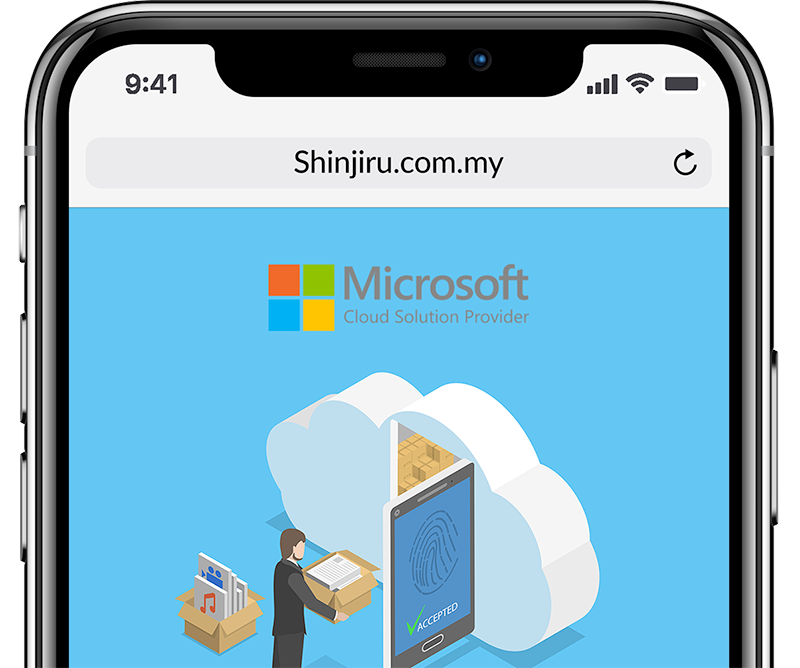 Shinjiru has its very own built Microsoft Azure Private Cloud Hosting infrastructure in Malaysia. Even if your in-house team has experience working with public clouds, architecting and managing an Azure environment may not be their strong suit or their top priority. Hence, your team will be very happy knowing Shinjiru has their backs. We can architect your optimal Azure deployment and manage them too. We know the ins and outs of working with Azure, so we can optimize your deployment to work smoothly with your apps and processes. Our team can design your ideal hosting strategy and infrastructure and even connect Azure resources with other platforms and hosting solutions. Let us handle patching, updates, and other day-to-day Azure management tasks while your team focuses on bigger-picture initiatives. Our team will monitor for traffic spikes, potential infections, and other anomalies, so your business stays up and running at full steam. Our enterprise team are always available day and night ready to support. Shinjiru offers flexible billing plans and several support tiers, ranging from a backup for your own cloud team to turnkey support for all of your cloud infrastructure. There are no wasted resources & money since users pay only for services procured, rather than provisioning for a certain amount of resources that may or may not be used. Shinjiru cloud servers are ready for SSH in less than a minutes. Thanks to the smart architecture based on SSD disks, accelerated networks and fast next-gen processors. Looking for flexible hosting? Cloud allows a user to scale up or down depends on how much resources are needed. You do not need to worry about buying new hardware to meet increasing traffic demands or huge traffic spikes. Once your server's up, keep it up. Shinjiru cloud has been built with high availability; we guarantee a 99.9% uptime for cloud server availability. Our Cloud is hosted locally in Malaysia; this ensures that your data complies with data sovereignty laws. Shinjiru cloud utilise with Network Address Translation (NAT). With NAT, you can connect your VMs privately with a few clicks and get a higher security. Microsoft Azure VMs are fast and powerful but you need in-depth knowledge on how to manage them. The complexity builds as soon as services are deployed within those VMs. That’s where we come in and for many years, we have been assisting our Cloud customers to manage their Azure Cloud Hosting so they can focus on what they do best: focusing on their business! Require Microsoft Cloud Hosting Consultation? Shinjiru Cloud is a hosting platform that is using cloud technology providing on-demand resources, on-demand virtual machine creation and also VNet capabilities. All these components allow developers to create and link virtual machines securely for their web-based applications. Where is your Cloud Hosted? Our cloud is managed and owned by Shinjiru. It is located in Malaysia in Cyberjaya CX-2, a 24/7 guarded Tier-3 Datacentre. How many virtual machines can I create? You can create unlimited virtual machines. The resources will limit you on how many virtual machines you can create. E.g. Our Professional package provides you with 8 Cores, 8 GB Memory and 240GB SSD hence you can create potentially four virtual machines all with 2 Core, 2 GB Memory and 60 GB SSD. Another combination is two virtual machines - 1 virtual machine with 6 Core, 6 GB Memory, 200 GB SSD and one virtual machine with 2 Core, 2 GB Memory, 40GB SSD. If you have any further questions, please don’t hesitate to contact us at sales@shinjiru.com.my. Can I link the virtual machines I create? Yes, you can link all the virtual machines that you create through a private network. Regular VPS hosting will not be able to provide you with such capabilities, so if you have a requirement to connect your servers privately, the cloud is a cost-effective solution for you. Am I able to scale on demand at any time of the day? Yes! All you need to do is log in to your cloud interface. Choose the virtual machine you would like to scale up or down, and only toggle the resource selector; it’s pretty simple! Are you cheaper than Google Cloud, Amazon Web Services, Microsoft Azure etc.? Yes, we are! We beat the competitors by a mile when it comes to pricing. Most cloud providers will charge you for the resources you consume every month which can become the wallet of an unknowing customer easily as the pricing is variable. Our prices, on the other hand, are fixed and is much cheaper when you break it down into cost per resource!